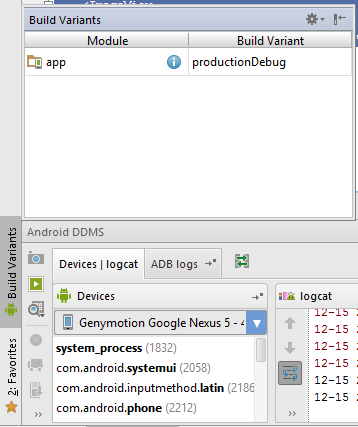 How to build product flavors from Android Studio? I have defined some product flavors in my build.gradle. I am able to successfully build them using gradlew. 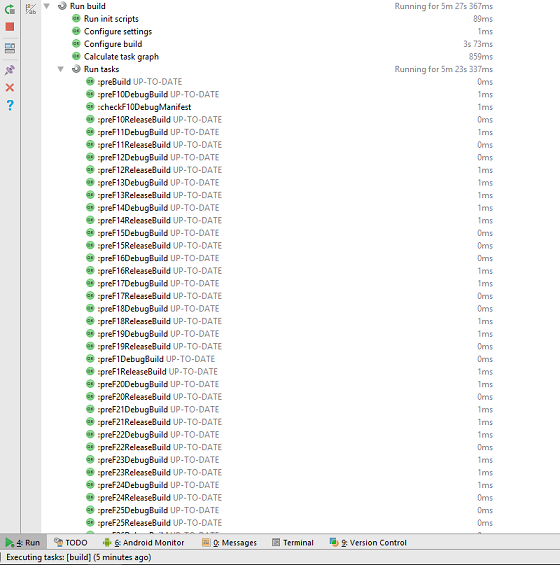 I can't figure out how I do so from the Android Studio IDE. Build Variants appears as a vertical button along the bottom of the left edge of the workspace. If it's not visible, click the little rectangle icon on the lower left corner. 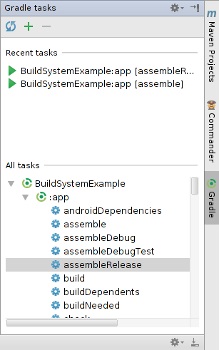 To generate all the apk of each flavor , you can run the Gradle build task and the files will appear in the folder yourmodule / build / ouputs / apk . 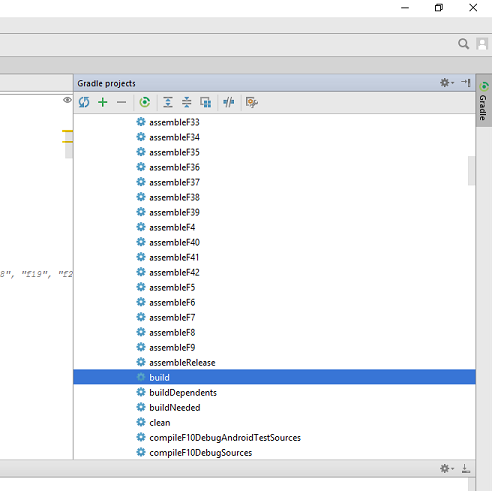 In the upper right hand corner of android studio click "gradle". This will begin building all your flavors.